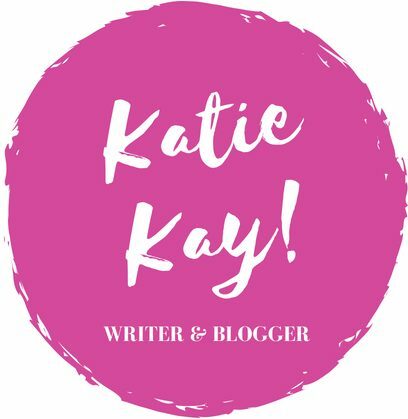 Book Info – Katie Kay! Thank you for checking out my book information! All of my published novels can be found on Smashwords, iBooks, Barnes & Noble, and the Kindle Store (among other formats). The following is a list of those that are currently published! The long, open desert… And four strangers who remember nothing of their past lives, loves, and experiences. Four people who will have to band together in order to unlock the door that blocks their memory… And to survive a wild journey in the scorching summer sun. Young college grad Emma Richmond finds herself a bridesmaid in six weddings over the course of six months. While battling her new job as a casting director’s assistant’s assistant, Emma travels to six different venues along California’s coast and beyond. On the way, Emma begins a relationship with a Hollywood actor who may teach her that there is more to life than falling love. “Mom, how did you meet Dad?” This simple, simple question sparks a convoluted answer that introduces us to a group of young adults trying to survive the ridiculously humid Southern metropolis of Memphis, Tennessee, and, through it all, the story of how two people meet despite dramatic circumstances. In a tropical beach town on Florida’s Emerald Coast, a young woman’s devout optimism is put to the test when she is thrown into a bizarre love triangle. In the wealthy oasis of Malibu, California, something utterly deceptive falls out of the sky and threatens to change human history forever… …while two college students find themselves in a reality as terrifying as their chance of a successful escape. Mystic, Mississippi, is your ideal Southern town. It’s got a town square, busybodies galore, and enough sweet tea to fill a football stadium. Then there’s Amy Lee Brandon, a meddling mother who decides to matchmake her sarcastic, lovable daughter, Clara, with their new handsome neighbor. What could go wrong? Well, welcome to Mystic. Kristina Flores is a young woman who always seems to be a favorite third wheel. When a mysterious man saves her from a failed three-person date, Kristina discovers that she may have found someone to share her pain. And it may take a village (which includes Kristina’s dramatic Argentine American family) and an arranged trip to the Cayman Islands to help this couple find love for just the two of them. Eight years ago Eliza Oehlstrom was a college senior aching to graduate and get discovered by New York literary agents. Today Eliza Oehlstrom is a bestselling writer who has retreated to the quiet Mississippi hills. Both Elizas are forced to reckon with unwarranted and haunting notes from a stranger only known as Yours Truly, who seems to know Eliza’s every move. While Yours Truly supports Eliza’s writing career, the stranger also makes it clear that Eliza’s every move is observed. But Eliza can only take so much. Told from these two time periods, YOURS TRULY poses the question: Are we ever really alone?